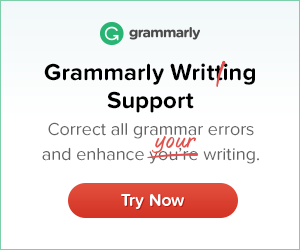 Grammarly Review – Absolutely Useless or a Second Pair of Eyes? Last week I wrote that the many Grammarly Adsense ads, which kept popping up for a couple of weeks, had been effective at last. My curiosity for the product was piqued. Whenever a software or service offers a free trial I start using it before I read any reviews. After all, it is free, and I rather go into the test as unbiased as possible. I have never heard of Grammarly before, so it was a clean slate for me. On their website, you see the big headline “The World’s Best Grammar Checker” and the suggestion to paste your text into a text field, to get it checked by Grammarly.